Nordic Track has established a good reputation when it comes to premium exercise machines. 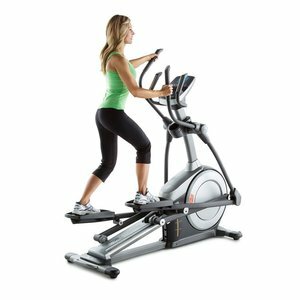 The Nordic Track Elliptical Cross Trainer E7.2 is among the brand’s family of front drive ellipticals, and it caters to all fitness levels. With a heavy flywheel, a wide range of resistance levels, and several workout options, this cross trainer is ideal for anyone seeking for a challenging workout without the need to leave the house. There may be a lot of cheaper options in the marketplace, but in this detailed review of the Nordic Track Elliptical Cross Trainer E7.2, you’ll realise why it’s better to opt for this product instead. If you prefer intense workouts, you need a cross trainer that’s stable enough to keep up with your pace. 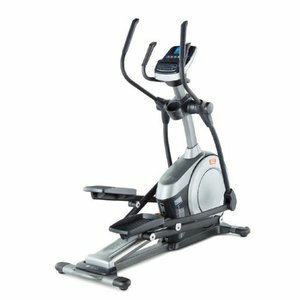 The Nordic Track E7.2 Elliptical Cross Trainer is an excellent choice as it’s made of premium materials that make it sturdy and heavy at the same time. It can support a maximum user weight of up to 150kg and some of those who purchased even say that working out on this model feels like using a cross trainer in the gym. Its 9kg flywheel doesn’t only make your exercise more challenging but also contributes to making the equipment even more stable. No one wants a wobbly exercise machine, and this cross trainer surely isn’t one of them. The Nordic Track E7.2 Elliptical Cross Trainer features 20 digitally-controlled resistance levels that will help you gain better results. As you increase the resistance level, the more challenging your workout gets, which burns more calories and stronger muscles. If you still don’t find the highest resistance challenging enough for your fitness level, this cross trainer also has various incline options. With the manual incline ramp, you can adjust it to five positions that can range from 0-20 degrees. Adding an incline to your machine will allow you to target different muscle groups and provide you with a more effective exercise as compared to a flat surface. Entry-level cross trainers usually offer a 12 up to 15-inch stride length, which may not satisfy some users. The Nordic Track E7.2 Elliptical Cross Trainer isn’t only equipped with wide foot pedals but also a generous stride length of 18 to 20in (46-51cm), making it suitable for various users. Working out can get boring, and you can quickly lose motivation. However, with the 20 built-in workout programmes, you can ensure that you’ll get varied workouts that will keep your body constantly working hard. There are ten performance programmes and ten weight loss programmes to choose from so you can always look forward to your next workout session. If you prefer to listen to music whilst exercising, drop your earphones because the Nordic Track E7.2 Elliptical Cross Trainer already has a high-quality intermix 2.0 sound system. Simply connect your iPod or mp3 and enjoy your favourite workout songs on the stereo speakers. But that’s not it, the 13cm Blue LCD Grafixx display on this cross trainer is also compatible with iFit with the use of the optional iFit Live module (sold separately). This innovative technology allows you to stride around different cities around the world by using Google Maps and gives you with access to over 1000 downloadable workouts. Because the Nordic Track E7.2 Elliptical Cross Trainer isn’t as lightweight and compact as cheaper treadmills, you would need a helping hand when putting the machine together. But don’t worry, the instructions that come in the package are easy to follow so you’ll finish in no time. 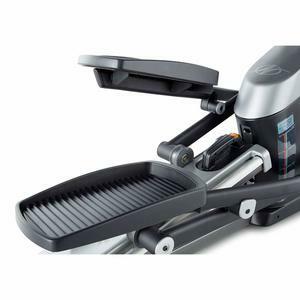 Once it’s built, you’ll immediately agree that this cross trainer is almost of commercial-grade quality. 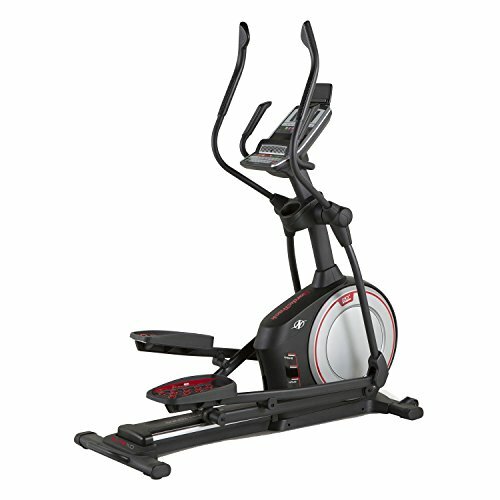 The JTX Tri-Fit Cross Trainer is one of the most sought-after models among cross trainers. This cross trainer is equipped with an advanced console that allows you to create resistance responsive training routes from anywhere in the world. This is made possible with the iConsole app that you can download on your smartphone or tablet and connect it to the machine via Bluetooth. It’s suitable for various users with its stride length options that range from 16in up to 20in and a maximum user weight of up to 135kg. The best thing about this model is that it comes with a FREE heart rate chest strap while it’s sold separately on most exercise machines. 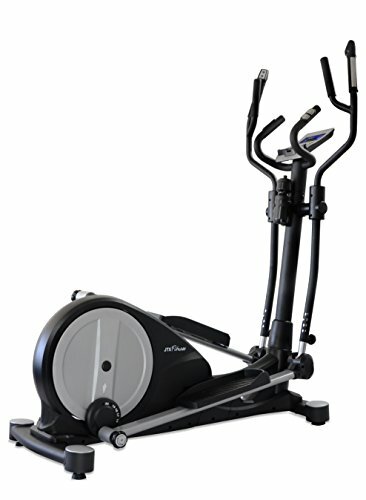 The Nordic Track Elite 11.0 Elliptical Cross Trainer is another exceptionally stable equipment from the brand as it has maximum user weight of up to 145kg. It’s equipped with an 18-20 inch stride length that automatically adapts as you adjust the power incline levels from 0 to 20 degrees. This will help you maintain a comfortable movement as you increase or decrease the incline of the machine. This cross trainer has an SMR™ Silent Magnetic Resistance system to ensure the 22 resistance levels work smoothly and naturally. If that still isn’t enough for you, you’ll also be getting advanced functions with this cross trainer such as OneTouch Controls, built-in speakers, workout fan, and a lot more. The JTX Strider-X7 Magnetic Cross Trainer, on the other hand, has a maximum weight capacity of 110kg but it features a coloured touchscreen console. 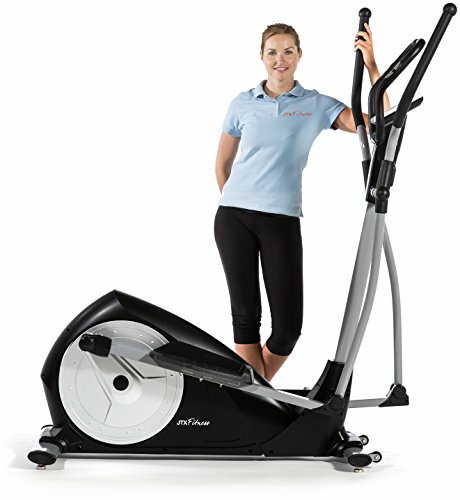 The machine comes with 21 built-in programs and features a 16-inch stride length, making it suitable for various users. Its heavy flywheel weighs 12.5kg, and it ensures a smooth and stable workout. Plus, it offers a lot of room for improvement with 16 levels of magnetic resistance. 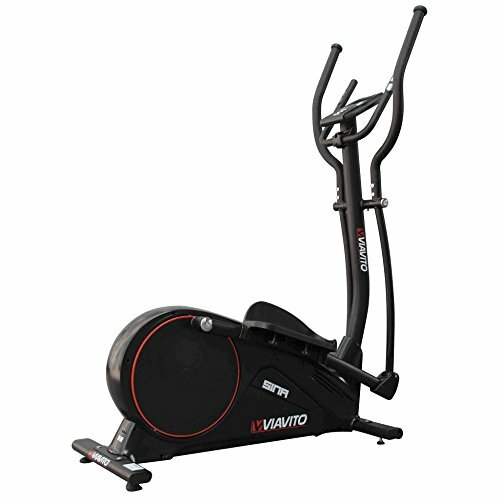 If you have a limited budget in mind, you can opt for the Viavito Sina Elliptical Cross Trainer. It has a 9kg (19.8lbs) flywheel that’s responsible for its smooth and quiet operation, and it can support a maximum user weight of up to 120kg (264.5lbs). 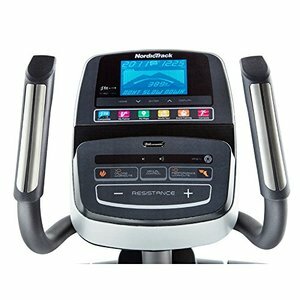 Whether you’re a beginner or an advanced user, you’ll find this machine tough to handle because it has 32 levels of computer controlled magnetic resistance. Its console makes it unique among other models within its range because of a dial control which enables you to quickly select your desired settings without the need the hit the buttons repeatedly. Viavito Sina Elliptical Cross Trainer Detailed Review? CLICK HERE. It’s quite disappointing that the iFit compatibility of the Nordic Track E7.2 Elliptical Cross Trainer requires a separate purchase of the iFit Live module. However, because of its wide range of resistance levels, various incline options, and a great selection of workout programmes, it definitely deserves a slot in your home gym. It may lack some of the best features that could be found in other models, its durability and useful functions make it a practical buy for anyone.